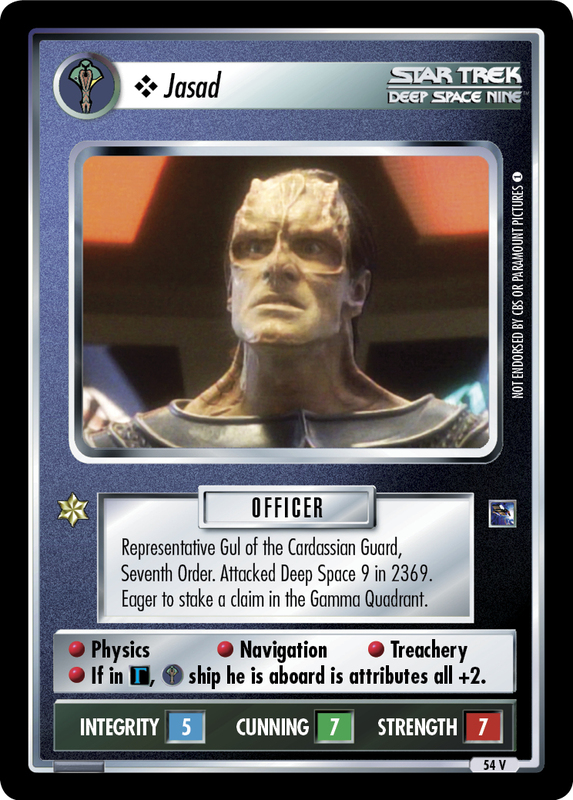 Representative Gul of the Cardassian Guard, Seventh Order. Attacked Deep Space 9 in 2369. 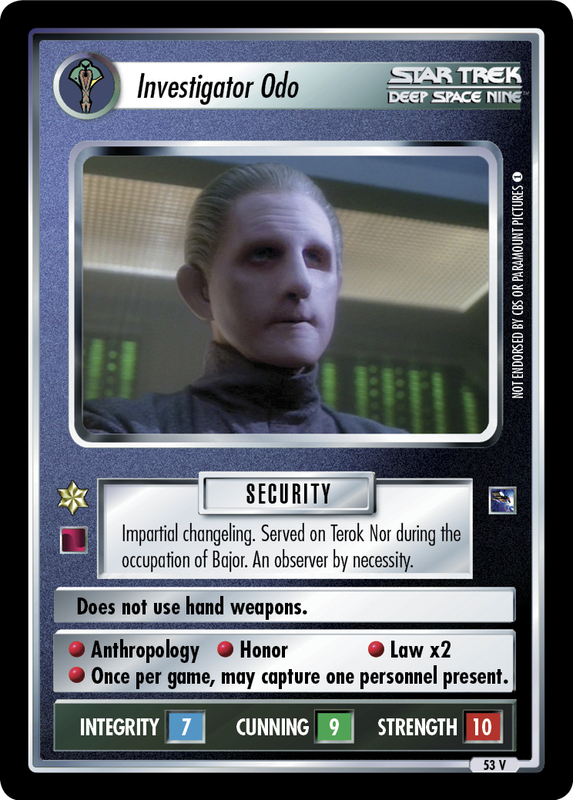 Eager to stake a claim in the Gamma Quadrant. 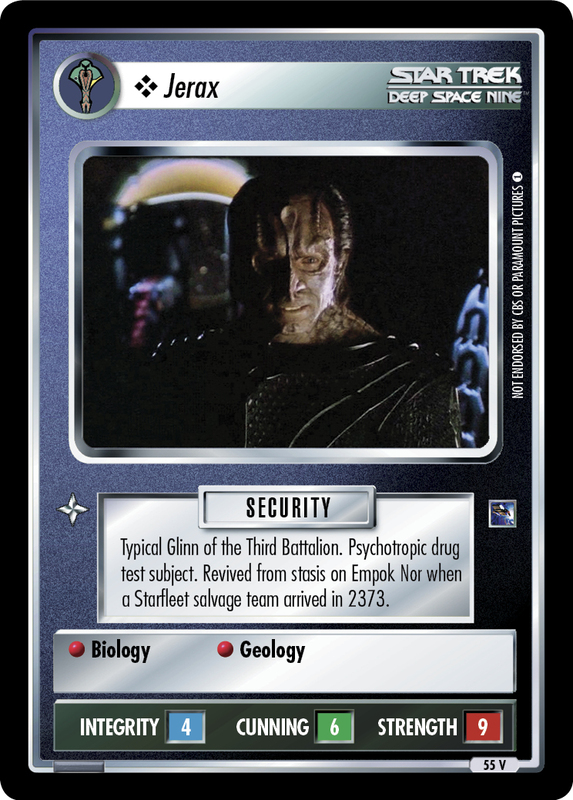 • Physics • Navigation • Treachery • If in , ship he is aboard is attributes all +2.